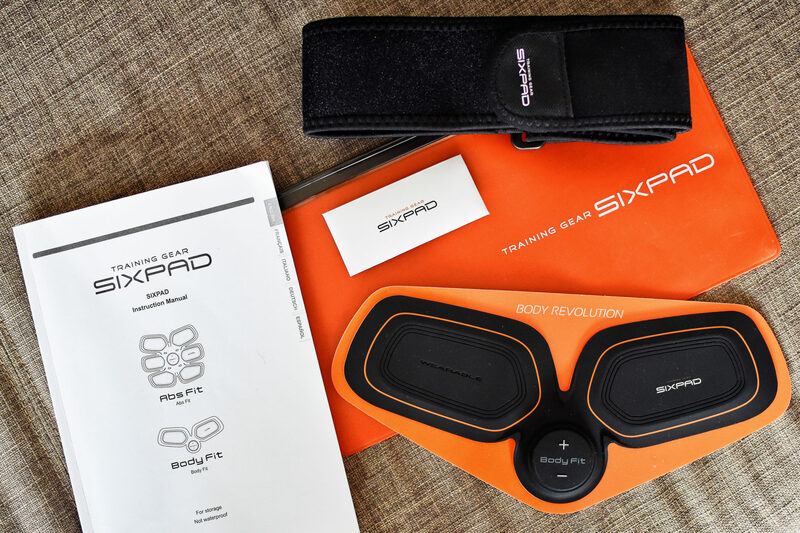 Note: For this review, SIXPAD kindly sent me some trial products to try out. This has allowed me to fully test all the features and put the AbsFit and BodyFit through their paces so I can give the best informed review possible. SIXPAD is a relatively new, innovative company who are changing the way in which we train our muscles. Their products focus on conditioning and toning the users muscles through an inventive application of Electric Muscle Stimulation (EMS). The two main products offered by SIXPAD are the AbsFit and BodyFit devices which have gained grounding through the advertising campaign involving Cristiano Ronaldo. The AbsFit (hence the name) is worn across the abdominal muscles, whereas the BodyFit can be worn in multiple different areas from the biceps to the inner thigh. Through the campaign of Ronaldo, SIXPAD has initially been adopted by footballers and other athletes across a variety of sports. 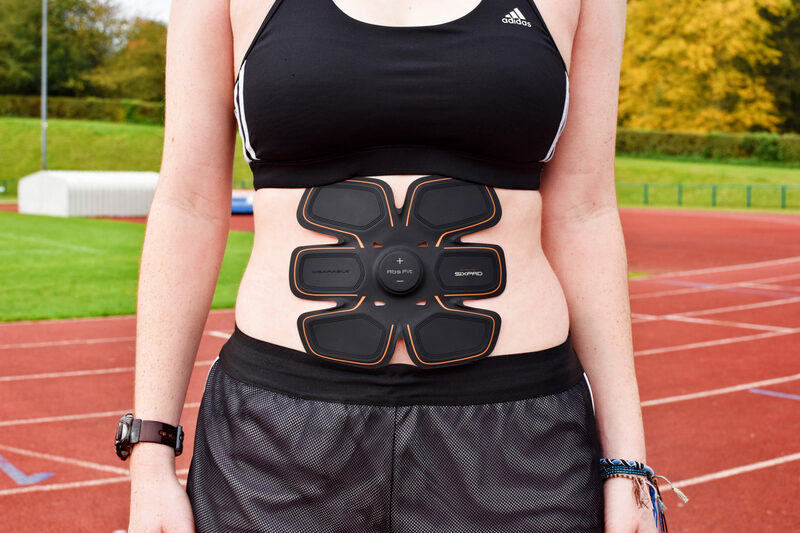 However, understandably so, SIXPAD are making a push into the athletics market and have contacted me to test and review their products in a running environment. I have been using the products on a daily basis over the past 5 weeks to conduct this review. Rather than being an unboxing as such, all that was required to get to the SIXPAD AbsFit and BodyFit was a simple unsleeving. Stored in a simple, no-fuss pouch, there is very little to either the AbsFit or BodyFit. Both come accompanied with the small batteries, a manual and Velcro belt to ensure the products stay securely in place. 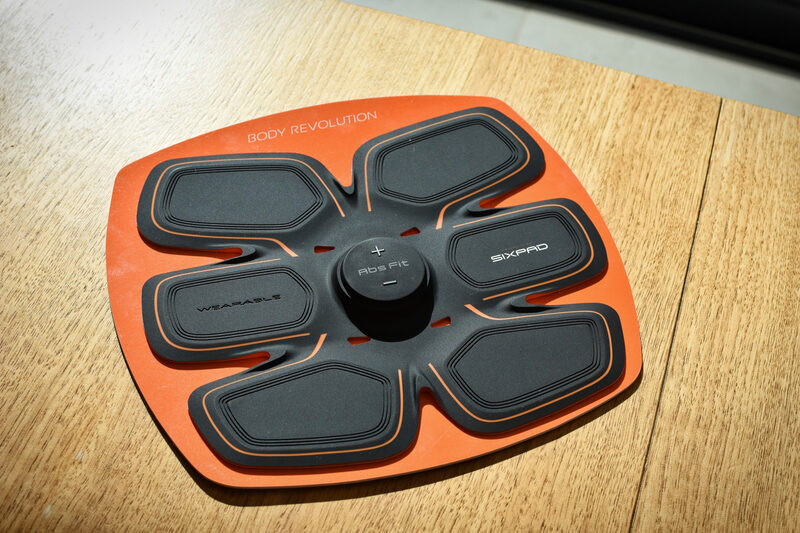 The AbsFit and BodyFit themselves come on a convenient cardboard slate which doubles up as a storage method. 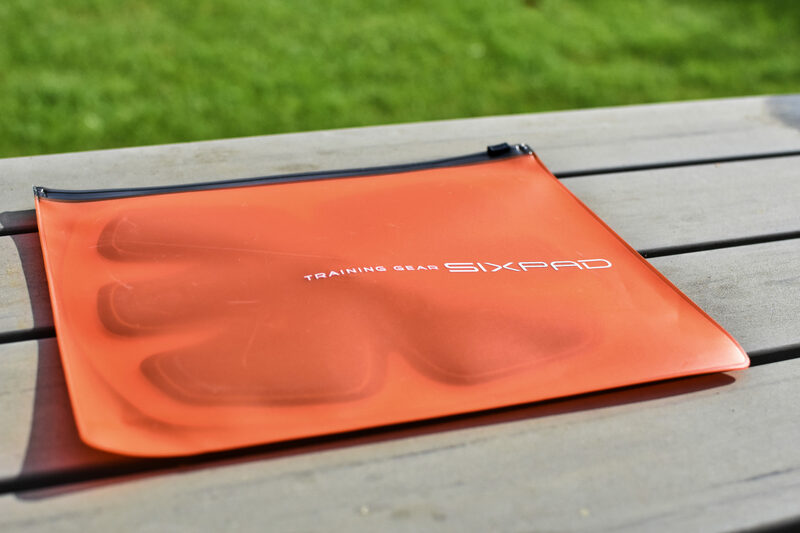 The SIXPAD devices come with pre-placed gels which allow them to stick to this board as well as the body without causing irritation. 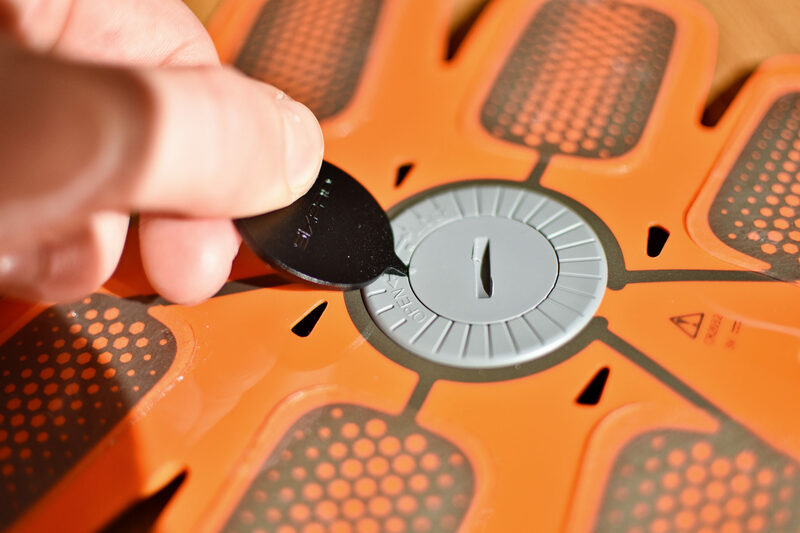 Setting up the AbsFit and BodyFit is an easy process of simply installing the batteries into the rear of the device. The battery cover is removed with the use of the provided accessory; from here the battery simply slots into place and the SIXPAD devices are good to go! Before diving into the products individually, I think it is important to understand the technology used within the products and the expected effects as a result from a physiological perspective. The term EMS stands for Electric Muscle Stimulation. Our muscles move and contract via small, natural electric impulses controlled via the motor neurones. With this in mind, the EMS technology creates external electrical impulses to cause muscle stimulation and contraction. This gives the effect of tensing (contracting) the muscles which in turn creates a training effect over time. This type of EMS training may seem futuristic or even lazy but it has its own very unique and distinctive selling points. What I find so interesting yet great about this technology is the fact that one is able to sit around watching TV, stand around talking or even be at work whilst gaining from the use of the EMS technology offered by SIXPAD. This offers a whole new way of training. Instead of having to go to huge efforts of going out to a gym (especially high intensity training), getting changed, getting sweaty too, it is possible to use SIXPAD’s AbsFit or BodyFit in the comfort of the home without all the fuss. Admittedly, the effects are not to the same extent, however the little extra offered by SIXPAD is a welcome addition all at a fraction of the time or effort. What is specifically different about the way in which SIXPAD have utilised this EMS technology, is the form in which they deliver the electric signals. 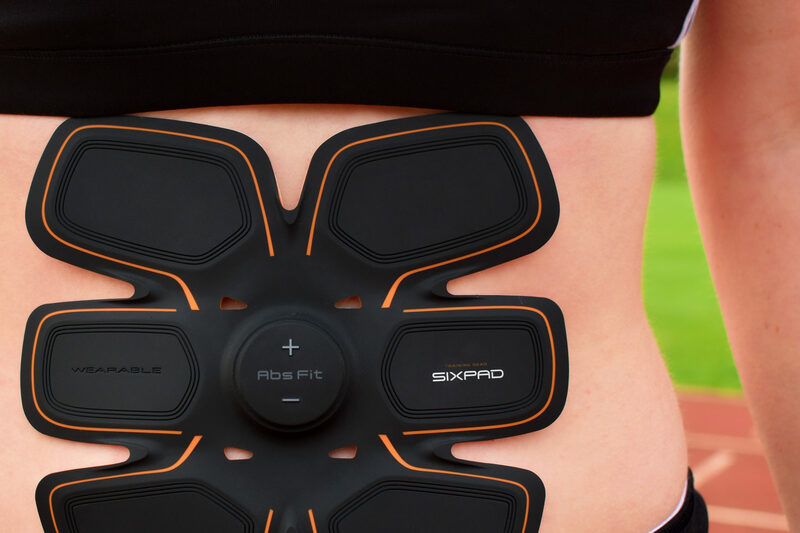 Many other form of EMS deliver the electrical impulses to the muscles at 60Hz, however SIXPAD found that 20Hz is much more efficient as it exercises the muscles without causing fatigue. At the higher rate of 60 signals per second, greater levels of power were gained but significantly more fatigue, putting 20Hz in the prime position. SIXPAD have also recently stated that via an independent study, it was found that these products increased ‘muscle density’ over 4 weeks. This may seem to be generic advertising, however I found out a little more about this further down. How is EMS used within the medical profession? We use EMS to stimulate muscles for rehabilitation purposes on patients who have had, for example, nerve damage or CVA (stroke). We use different frequencies depending on the patient and whether we want purely cause muscle stimulation, increase circulation or decrease pain levels. Does EMS increase muscle density? In medical terms, muscle density is referring to muscle tone. This is the state of a muscle at rest and its ability to withstand tension to therefore maintain a good posture. By using EMS technologies, the electrical stimulation will help improve rigidity and hardness of the muscle in this state, resulting in higher tone. So, yes, it is possible to see an increase in muscle density from EMS use. I will start with looking at the SIXPAD AbsFit as it is the flagship product. The AbsFit can be used by anyone from an elite athlete to someone just wanting to tone up and get more pronounced six pack! Once the battery is installed, the AbsFit is instantly ready for use. Peel the AbsFit off the storage board (top to bottom rather than from the side) and place it directly onto the abdominal muscles in a comfortable, central position. Having tested the product on a number of different people, I have found that fit and feel of the product is totally on personal preference – there is no exact science to where the AbsFit should be placed. I have also found however that given some body types, the gels struggle to remain on the body, sometimes peeling off on their own accord. Fortunately, SIXPAD supply a Velcro strap which supports the product, holding it in place during use. With the SIXPAD AbsFit securely in place, using the product is equally easy as setting it up. On the front of the AbsFit, there are simply two buttons. There is an up (+) and down (-) button which are used to alter the intensity of the workout given by the AbsFit. To start the deceive, hold down the up (+) button for two seconds, after which a small beep will be heard. From here, it is down to preference in terms of intensity. One press on either the (+) or (-) buttons results in a single change in level intensity level. There is a set training program on both the AbsFit and BodyFit, but the user is able to use the manual buttons to alter the intensity of this set program. SIXPAD have created a training program which both the AbsFit and BodyFit both follow. This program lasts a course of 23 minutes and remains the same for each use. Therefore, the best way to see and feel improvements come from progressive overload induced by an increase in intensity. Inevitably, most users will not be able to use the products at their maximum intensity levels from the first use. I started testing the product on about level 4 and over the course of about three weeks, I can now comfortably wear the AbsFit on the maximum level 15. It is also advised by SIXPAD to only wear the AbsFit once per day to not over fatigue the muscles. I have now been using the SIXPAD AbsFit for a number of weeks and can say that the effects from the training are showing (I am not being paid to say this). I have been able to see a definite change in definition whilst also feeling stronger when tackling core strength work. Due to the intensive nature and feel of the product whilst in use, one may expect the after effects to be sorely felt the next day. However, one of the beauties of the product is it leaves the muscles pain free and ready to go for further exercise. This makes the SIXPAD AbsFit and BodyFit great devices for training post-workout once already fatigued, without having any detrimental effects on the state of your muscles. 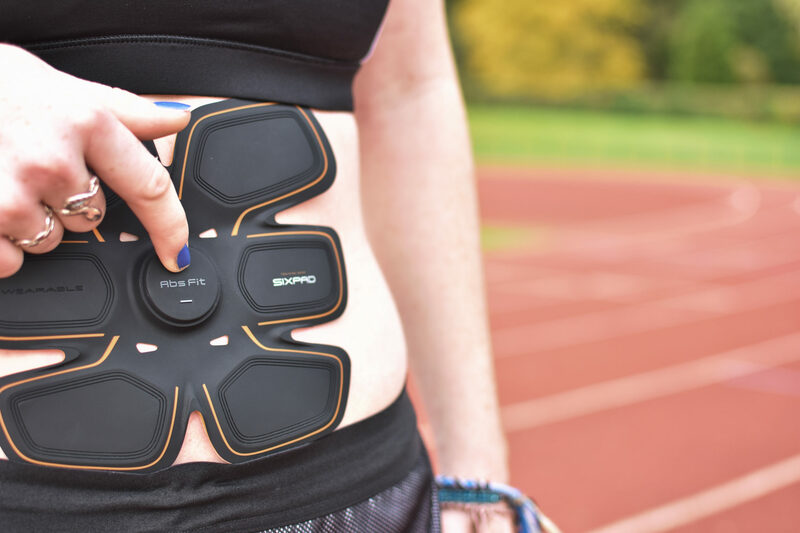 From the extensive use which I have given the product through testing, the SIXPAD AbsFit lives up to its name and provides a strenuous core workout whilst retaining that home comfort. As with the AbsFit, the BodyFit works in exactly the same way via the use of EMS technology, however it is broader in its use, working on various muscle groups. I have found the use of the BodyFit highly beneficial as it can be manipulated to work different areas of the body from the waist to the arms, to the legs, all of which making it an extremely versatile product. The BodyFit comes as a wing-like structure which can cleverly wrap around the muscles to target the electro stimulation from multiple areas to ensure full contraction. Unlike the AbsFit which I found to peel off the body due to various body shapes, the BodyFit seems much more secure, even without the extra support of the Velcro belt. However, I still tend to use the Velcro strapping to get the full effect. As with the AbsFit, the BodyFit uses the same control system to turn the unit on, pressing the (+) for two seconds. The unit will turn itself off after the 23 minute program, but a premature ending can be initiated by holding down the (-) for two seconds. One is advised to use the BodyFit on a variety of areas around the body. SIXPAD recommend that the BodyFit can be used on the waist, upper arm (bicep), front of the thigh (Quads) and inner thigh. I will talk further about the application of the SIXPAD products for runners later, however I contacted SIXPAD regarding the use of the BodyFit on the calf muscle, an instinctive placement for a runner. I asked whether this was advised, but they deliberately don’t recommend this type of use as the calf muscle is so much smaller than the other muscles operated on by BodyFit and could easily result in cramping. Outside of what is suggested by SIXPAD however is the use of the BodyFit on the hamstring. I put this to the test myself and found that there were no adverse affects from doing so; this may be another application if one so wishes. One of the main differences of the BodyFit to the AbsFit is the use of the varying levels. Both have an equal 15 levels of intensity, however, using the AbsFit, it is seemingly easy to reach a comfortable threshold of level 15. This is not the case when using the BodyFit. With the BodyFit, it is predominantly used on small muscle groups which cannot handle the same intensity of stimulation. Therefore, using the BodyFit on a lower level is definitely advised, I have found this especially to be the case for the biceps. As I predominantly focus on running here on Run Reporter, I think it is suitable to look at these products from a running perspective. I have mentioned throughout the post about the various ways in which the products can be used to target various muscles, along with the benefits of using both the AbsFit and the BodyFit. 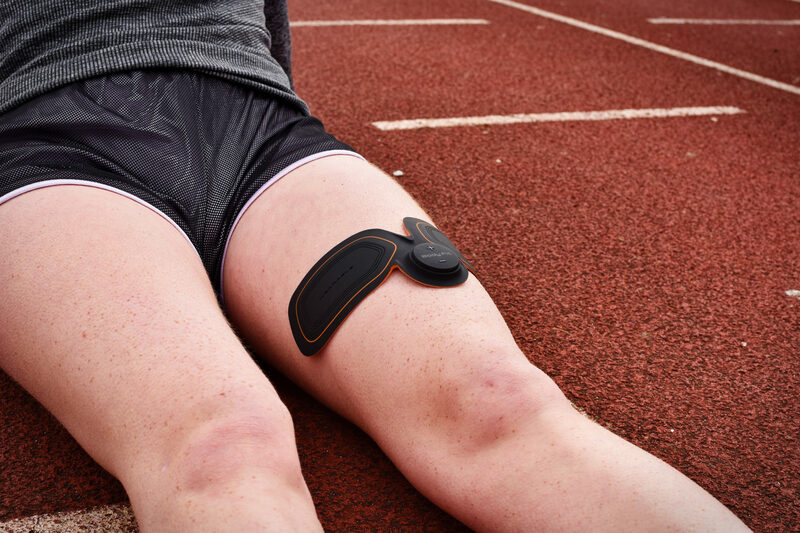 However, there is a different type of use which isn’t talked about music when referring to EMS technology and SIXPAD products which is ‘Muscle Activation,’ something very important for runners especially, and indeed all athletes. When we exercise, muscles work simultaneously to support joints when moving. However, if some muscle groups around a joint are too weak or haven’t been ‘activated’ as such, then it puts excess strain on the other muscles to compensate for this lack of activation as these muscles aren’t pulling their weight. This can often lead to overuse injuries such as shin splints and tight hamstrings. Therefore, muscle activation steps should be taken to ensure all muscles are ready for exercise. This is essentially what a warm-up is, busy I propose an additional warm-up technique via the use of the EMS technology provided by SIXPAD. This will mostly occur via the BodyFit which can be utilised by runners when warming up by helping to engage the quads and hamstrings by wearing the BodyFit before running. I have done this a number of times and have found that my legs undoubtedly feel more awake and ready to go. This will make sure that the right muscle groups can be targeted, activated and put fully to use when exercising, reducing dependency upon other muscle groups to compensate and potentially cause injury. I have already mentioned another benefit of SIXPAD for runners which is the post-exercise use. Running is an extremely strenuous sport on the body and can cause great fatigue levels. It is also significantly harder when fatigued from previous exercise. 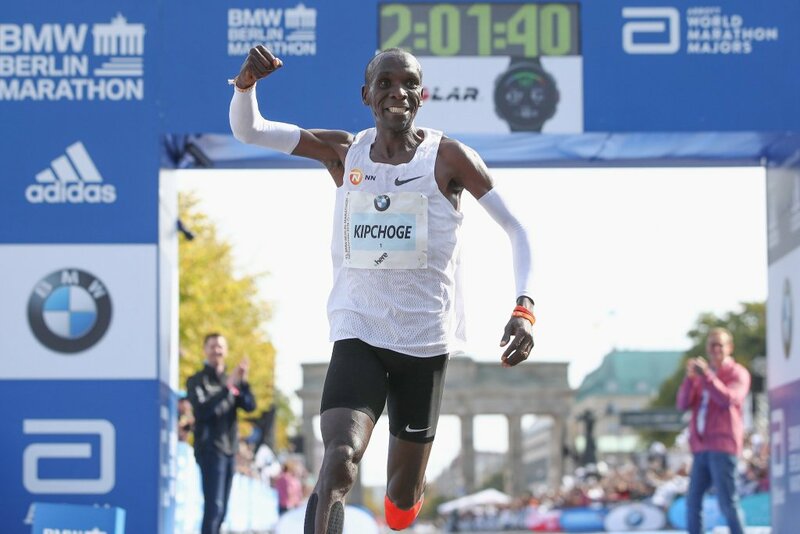 Therefore, the use of the AbsFit and BodyFit can provide that extra 1% needed for runners when it comes to readiness to perform, without having adverse effects on training as weight training would bring. SIXPAD claim that both their products last roughly 30 uses on Level 8 before the battery runs out. I have found this to be roughly similar to what I got out go the battery when using the BodyFit, if not a few more as it is smaller than the AbsFit. SIXPAD themselves don’t sell replacement batteries, however the batteries used are simply the everyday, small Lithium CR2032 3V coin batteries which can be purchased cheaply. Although these batteries are cheap, they don’t last overly long and will need replacing every month or so. This I do find a little unfortunate and does come at a cost over time. It would certainly be good to see a rechargeable version offered in the future, although I suspect this would add both size and cost to the products. As well as the batteries needing replacement, the rear gels on both the AbsFit and Body will also need replacing. 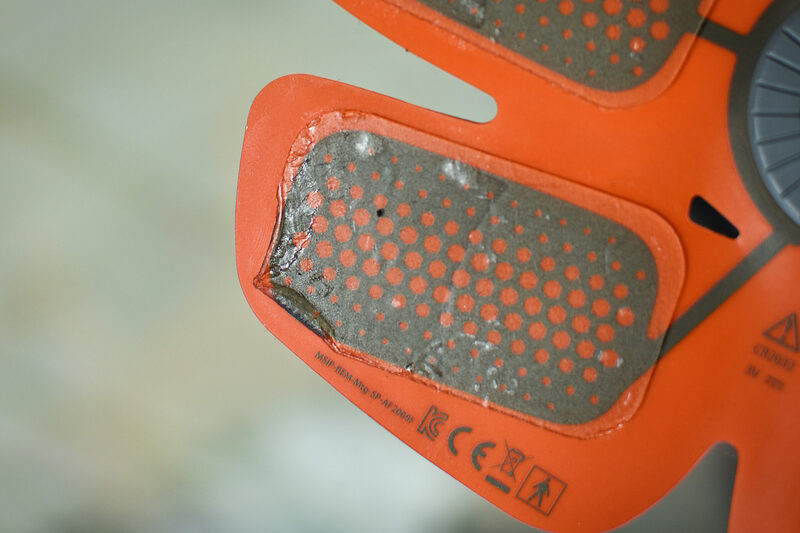 SIXPAD suggest that the gels provided should last roughly 15-25 uses before possibly peeling off. Fortunately, I have found that the ones one the products I have been testing remain fairly intact for the most part. The only issue I have incurred is a lack of stickiness which results in (mostly the AbsFit) peeling off easily, but the Velcro strap stops this occurrence. SIXPAD recommend purchasing their gels from their website which I would say is probably best to do, despite them being slightly more expensive than seemingly similar alternatives elsewhere. What I do like however, is how SIXPAD offer a subscription service to their gels which does significantly bring down the price over time. SIXPAD Gels are available to purchase here. Having tested the SIXPAD products for a number of weeks now, I have got to grips with how the EMS technology is used and how the benefits of training muscles through electrical stimulation can be of aid to athletes. 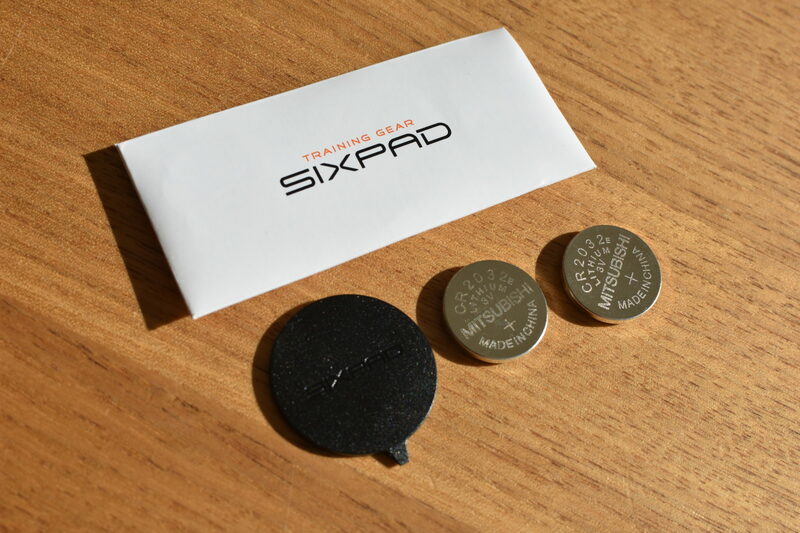 The products themselves produced by SIXPAD are of a quality which I did not expect. They present themselves as very professional and unique products whilst not scaring away the amateurs. I believe there may also be a sense of taboo surrounding the alleged benefits and effects of using EMS to ‘get a six-pack,’ however I would advice all readers that they really have to try this for themselves as I see this to be a real breakthrough in training. The intensity and quality of the short 23 minute workout given by both the AbsFit and the BodyFit may leave you in pain during the workout, but over the course of using the product for a number of weeks, the effects will start showing, giving the fast twitch muscles fibres the training needed to tone up! Do not expect to suddenly become a huge bodybuilder by using this product. That is not the point. SIXPAD’s research to find 20Hz fast-twitch muscle fibre stimulation to be the best has paid off and will result in a more toned and prepared body. This initial claim I thought to be a little far fetched, however prolonged use alongside additional strength and expertise work will give surprising results. Overall, I can certainly say that I would recommend using these products to aid training, but not as a replacement. 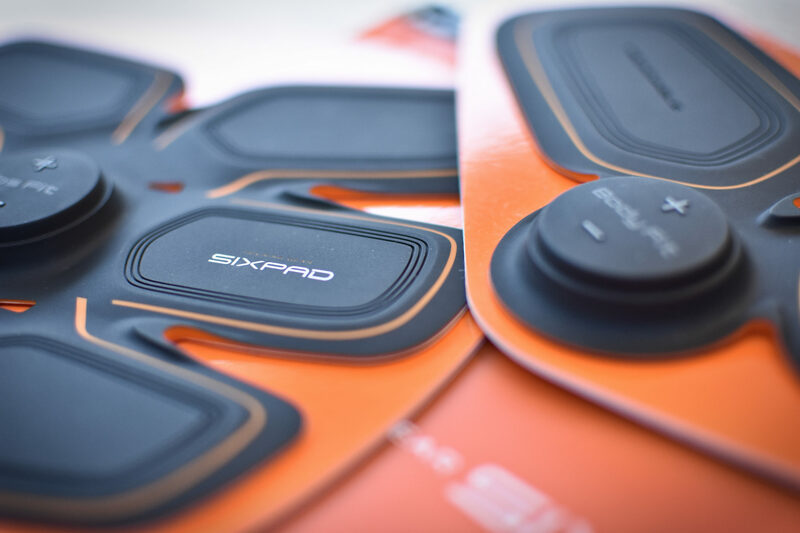 The SIXPAD range can benefit all types of athletes from runners to footballers to rugby players. Despite a slightly high price point and the lack of a rechargeable battery, I can still see both the AbsFit and BodyFit making real inroads into the sports technology market as a whole. The SIXPAD products are all available for purchase from the SIXPAD website. There are a range of different bundles available along with separate gels.